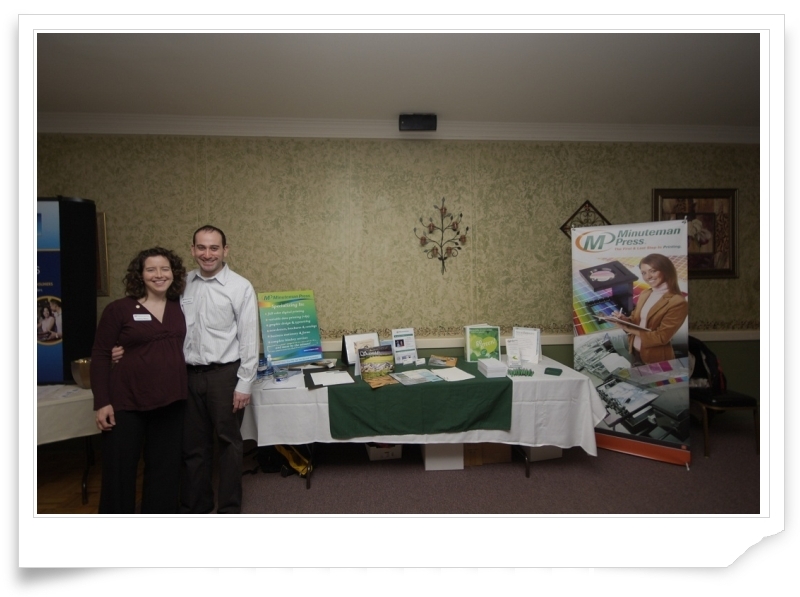 Minuteman Press sponsored the April Membership meeting of the Home Builders and Remodelers Association of Western Mass (HBRAWM). Michael and Lindsey joined forces with Amy Scott of Wild Apple Design Group and Jill Monson of Valpak of Western Mass to create a marketing presentation called “A (Fun) Crash Course in Marketing 101”. The group’s goal was to educate the HBRAWM members about making wise decisions with their marketing dollars. Michael and Lindsey briefly overviewed the differences between offset and digital printing and then taught the audience about the characteristics they should look when choosing a printing vendor. Among other points, they encouraged the members to look for a shop that educates them about production options, offers digital and offset printing and selects the best method for each job, and takes the time to show any available volume discounts. At the end of the presentation, the group engaged the audience in a customized version of “Who Wants to be a Millionaire”. Each question tested the members’ retention of the information covered in the presentation, and the participants had a chance to win prizes. The game engaged every audience member and kept the energy high. Michael and Lindsey are shown here with their display table before the presentation.